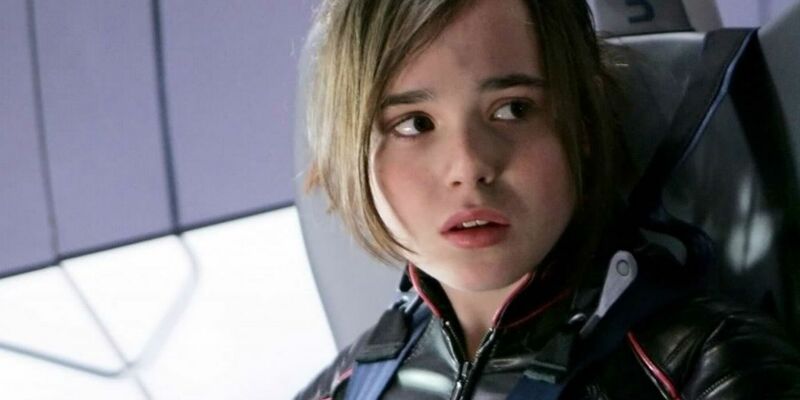 Umbrella Academy star Ellen Page set the internet alight on Thursday when she called out Chris Pratt for his attendance of Hillsong Church, which she described as "infamously anti lgbtq." Page has now gone into more depth about why she chose to speak out against Pratt and his church. "If you are a famous actor and you belong to an organization that hates a certain group of people, don’t be surprised if someone simply wonders why it’s not addressed," Page tweeted. "Being anti LGBTQ is wrong, there aren’t two sides. The damage it causes is severe. Full stop. Sending love to all." In a follow-up post, Page wrote, "If lgbtq+ people are expressing their pain, their trauma, their experiences...maybe just try and listen? Open your heart, stop being defensive and have compassion. It’s a beautiful and life changing feeling, empathy. Much love truly to all." In 2015, Hillsong's Brian Huston put out a controversial statement regarding the church's stance on LGBTQ lifestyles. “Hillsong Church welcomes ALL people but does not affirm all lifestyles,” read the statement. “Put clearly, we do not affirm a gay lifestyle and because of this we do not knowingly have actively gay people in positions of leadership, either paid or unpaid. I recognise this one statement alone is upsetting to people on both sides of this discussion, which points to the complexity of the issue for churches all over the world." Page is an outspoken advocate for LGBTQ+ rights. In 2017, she recounted her experience with homophobic abuse at the hands of director Brett Ratner on the set of X-Men: The Last Stand. Those experiences were later corroborated by co-star Anna Paquin. As of this article, Pratt has not responded publicly to Page's comments. Page is set to star in Netflix's upcoming adaptation of Umbrella Academy, which releases on Feb. 15. The series also stars Mary J. Blige, Tom Hopper, Cameron Britton, Robert Sheehan, Emmy Raver-Lampman, Adam Godley, Aidan Gallagher, David Castañeda, John Magaro, Ashley Madekwe and Colm Feore. Pratt is set to appear in Avengers: Endgame. Directed by Joe and Anthony Russo, that movie also stars Josh Brolin, Mark Ruffalo, Tom Hiddleston, Chris Evans, Chris Hemsworth, Jeremy Renner, Elizabeth Olsen, Chadwick Boseman, Sebastian Stan, Benedict Cumberbatch, Paul Bettany, Samuel L. Jackson, Cobie Smulders, Benedict Wong, Zoe Saldana, Karen Gillan, Vin Diesel, Dave Bautista, Pom Klementieff, Scarlett Johansson, Tom Holland and Anthony Mackie. The film arrives on April 26.